Dhaval Monani is a Former Visiting Fellow at IDFC Institute. He is the founder and Managing Director of First Home Realty Solutions Pvt. Ltd. He helped set up the affordable housing and urbanisation initiative under the Center for Emerging Market Solutions at the Indian School of Business, Hyderabad. He has been one of the pioneers of the affordable housing space in India and has set up one of the most cost-effective housing projects in India where homes have been successfully sold for less than USD 6,000. Dhaval previously founded Value Realtors and through the two companies, more than 1,000 homes priced between USD 5,800 and 15,000 have been developed over the last 2 years. The combined turnover of the projects exceeded USD 5 million. Dhaval has a background in management and multidisciplinary design. He founded ADD. Ventures, a multidisciplinary design firm in 2001 which has since been renamed Avantgarde Design Studios Pvt. Ltd. and Integrated Sourcing, a company focused on aggregated sourcing and supply chain management for the automotive industry in Europe. The model leveraged on the inefficiencies of smaller companies sourcing from emerging markets, the company was founded during his MBA in Spain and had approved funding from FINAVES – a leading Spanish startup fund. 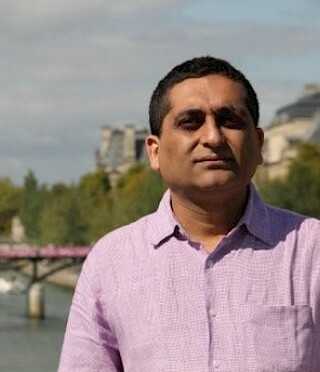 In 2006 Dhaval started working with International Housing Solutions (IHS), a private equity fund focused on affordable housing in the US, Europe and Africa. He came to India to set up IHS India operations and worked with them in South Africa. He has consulted with the Catalan Government (The Consortium of the Commercial Promotion of Catalonia) on identifying key sectors and industries for Catalan/Spanish companies to partner companies in India. Dhaval was a speaker as part of TED U during TED INDIA. Dhaval has an MBA from IESE Business School in Barcelona, was a scholarship student at the Domus Academy in Milan and the University of Wales at Cardiff where he earned a double Masters in Design and a Post Graduate Diploma in Design from the Queensland University of Technology in Brisbane. His areas of interest are urbanisation, affordable housing, financial instruments related to the real estate and urban sectors and human-centric design. First Home Realty Solutions Pvt. Ltd. is a company was founded to develop housing in the USD 8,000 to 25,000 segment for the emerging middle class in India. It focuses on areas of economic wealth creation – industrial zones and developing urban centres. The company is shortly launching a home finance company that will cater to a customer base that is largely not addressed by current financial institutions.